Babies feet are soft & adorable. Protect them with our baby steps 123 stage shoes. New Collection available at all Dr.Kong stores now! Get in style and walk comfortably with the kids sneakers in store! Grab a pair now at all Dr.Kong store! Get the right pair of Dr.Kong health school shoes for your kids! Check out the amazing deals at your nearest Dr.Kong store now! Don't miss the chance to get the new collection of healthy school bag that is perfect for the school season. Visit your nearest Dr. Kong store now! Start your Double 11 shopping! from 10-12 November See you at Dr.Kong Changi City Point, Causeway Point , Hougang Mall, Northpoint City & Jurong East Mall (JEM)! Dr.Kong baby healthy shoes help improve walking and prevent from flatfoot. Get the right shoe for the tiny feet at different stage is the right choice for them! Check out the new collection of Dr.Kong pressure free backpack suitable for your kids! Visit us today at Changi City Point, Haougang Mall, Northpoint City, JEM & Causeway Point! How to choose your baby shoes? What better time than Mother's Day to give Dear Mom a perfect gift? She's sure to love the comfort, style and health benefits of Dr. Kong Healthy Shoes. Run to your nearest Dr. Kong store now to enjoy $50 off from 11-13, May 2018. Are you Flat foot? High Arch foot? or Normal foot? Visit us today and try our free foot assessment to know your foot type and what's good on your feet. You can visit any dr.kong store island wide! Dr.Kong Smart Footbed Sandals gives comfort and extra support for your daily activities. Pamper yourself with a pair of Total Contact Sandals to keep your feet healthy all day long. Check them out at your nearest Dr. Kong store today! We have just opened our Dr.Kong new store at Hougang Mall Level #03-12! Come and visit us today! Enjoy the exciting discounts from Dr.Kong! See you there! For all-day comfort for your feet, slip into a pair of Dr.Kong Total Contact sandals. Grab this new arrivals at Dr.Kong stores island-wide! New shop at Hougang Mall coming soon! Stay tuned! Keep their feet healthy and comfortable for coming new term with Dr.Kong lightweight, breathable synthetic materials & a flexible sole school shoes! Visit us now at Northpoint City, Changi City Point, JEM and Causeway Point! Store wide member sales! 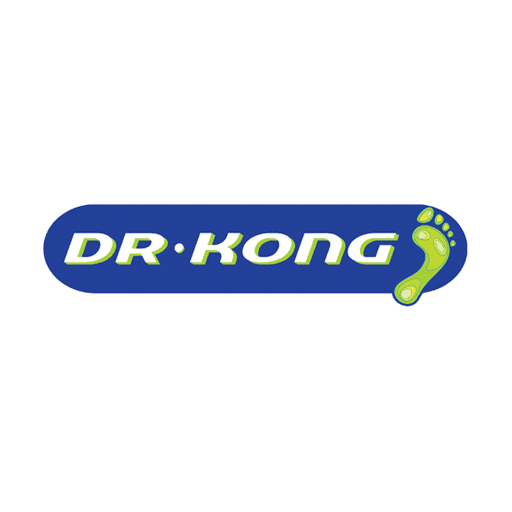 Shop and get an exciting deals this week from Dr.Kong. Find us at Northpoint City, JEM, Changi City Point & Causeway Point! Dear customers, kindly take note the operating hour during this festive holidays. Visit our store now for the last minute shopping!